James L. Creighton is president of Creighton & Creighton, Inc., in Los Gatos, California, at www.publicparticipation.com. 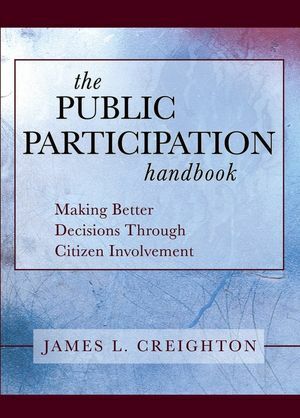 He has been an independent consultant in the public participation field since 1972 and has designed or conducted more than three hundred public participation programs. He is the founding president of the International Association for Public Participation (IAP2), an international organization of professionals and people interested in the public participation field.